Tutorial Archives - Pebbles, Inc. 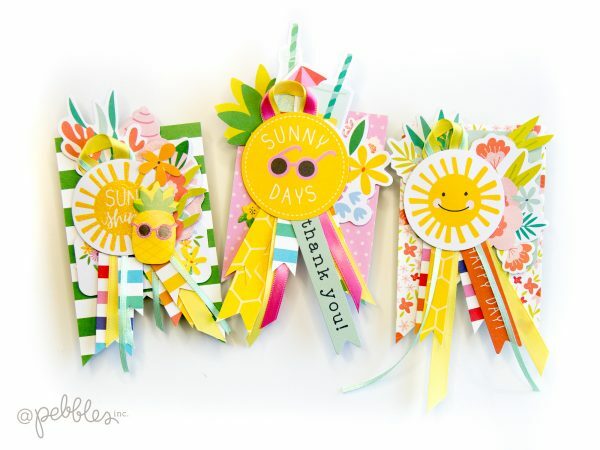 When the March wind starts blowing, it seems all thoughts turn to green, rainbows, and lots of luck! 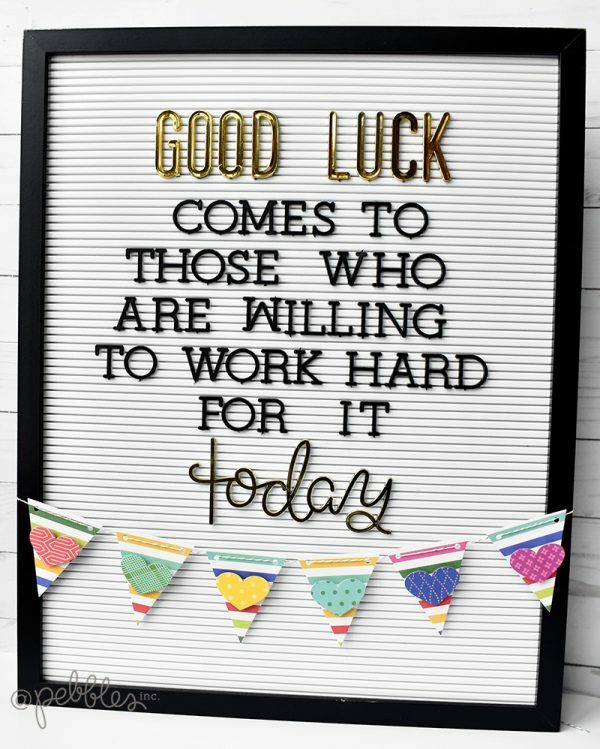 I’m not really a believer in “luck” per say, but I do believe that if you work hard, good things will happen! So that’s the thought I wanted to share when I updated our letterboard for March! 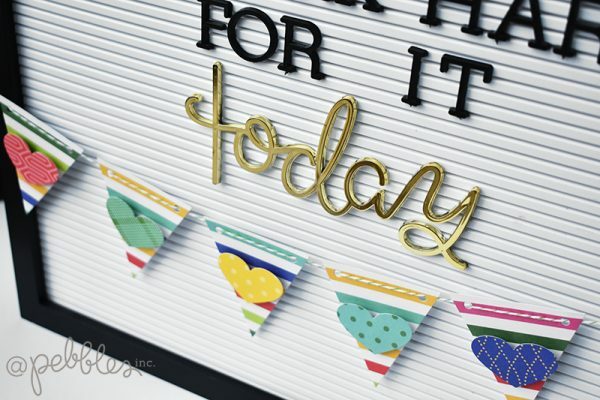 I always like to add a little something extra to my monthly letterboards – so this month I opted to add a little rainbow-ish banner to keep up the March vibe! 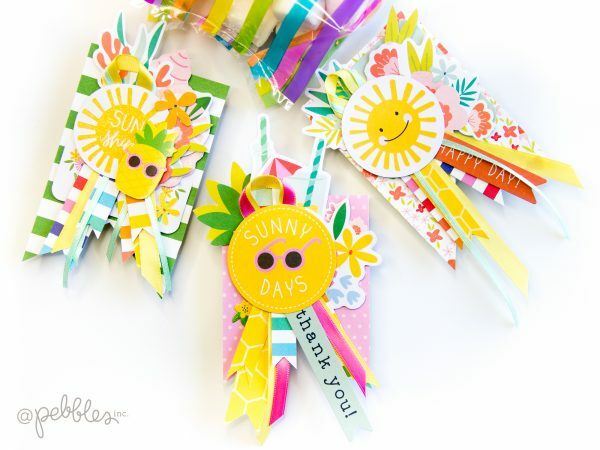 It was super quick and easy and anyone could whip it up in a matter of minutes! Here’s the quick step-by-step! 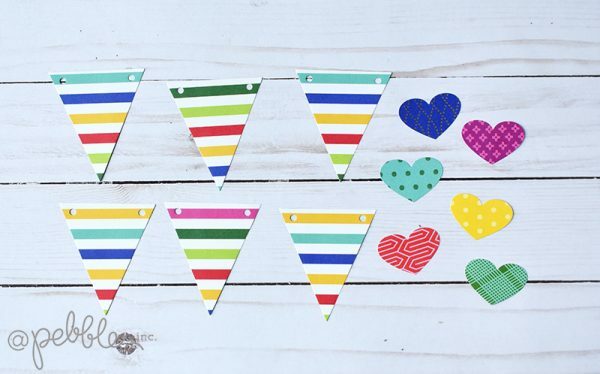 Start by cutting out enough triangle banners to span your letterboard and enough rainbow hearts for each banner piece. 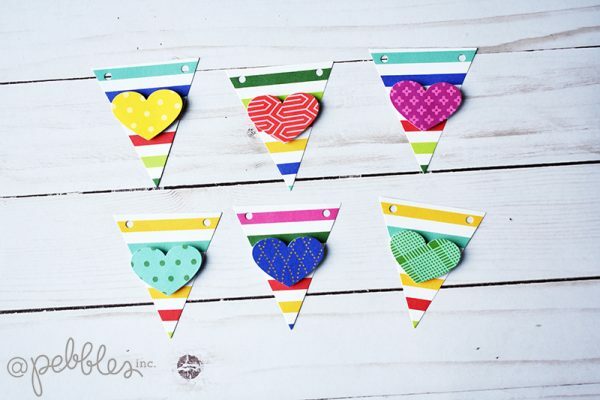 Add foam adhesive to the back of each heart. 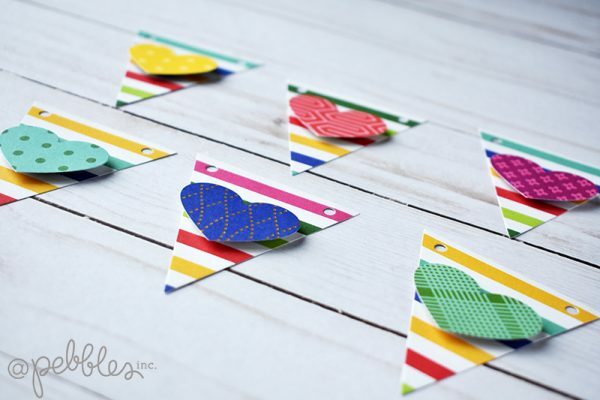 Place each heart on it’s triangle banner. 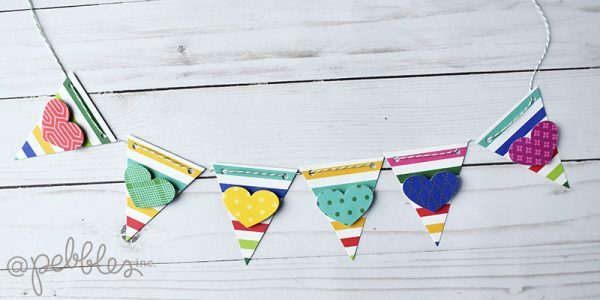 Use baker’s twine (or whatever string you wish) to thread the banner together. 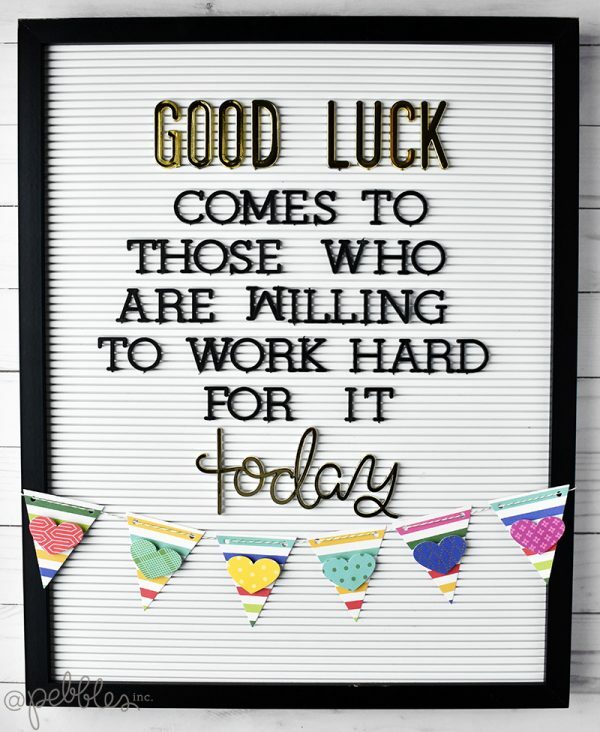 Add your favorite quote or sentiment to your letterboard – be sure to leave room at the top or the bottom for your banner. Add the banner by securing the twine on the back side of the letterboard. 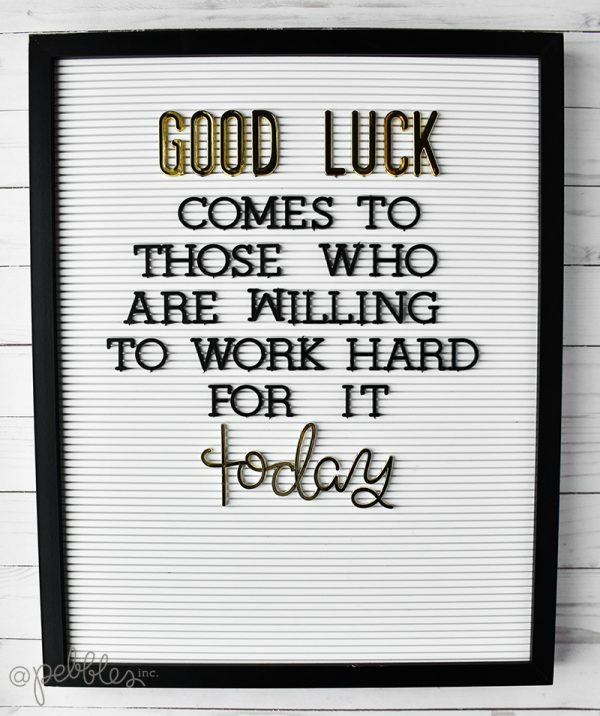 Now…get out there and work hard today so you can be “lucky” tomorrow! Happy March, Happy St. Patrick’s Day, and Happy Almost-Spring! 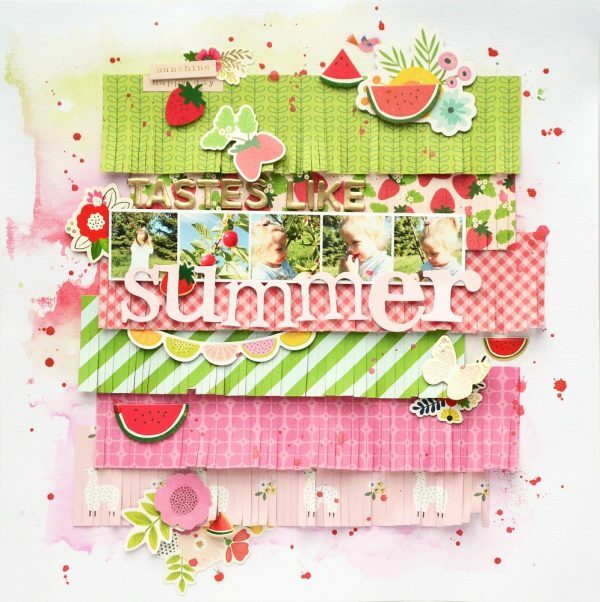 It’s Terhi here with my first scrapbook layout using the wonderful Chasing Adventures collection. 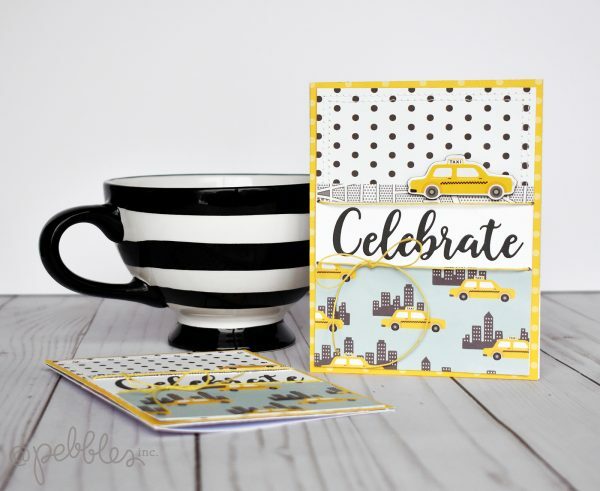 The Chasing Adventures is designed by Jen Hadfield, and I must say it is definitely my most favorite from her so far. 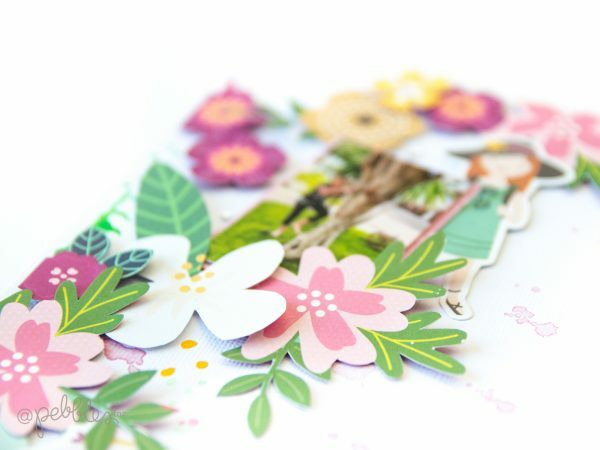 The rich colors and billions of flowers makes scrapbooking even easier than before, and my head is full of ideas! 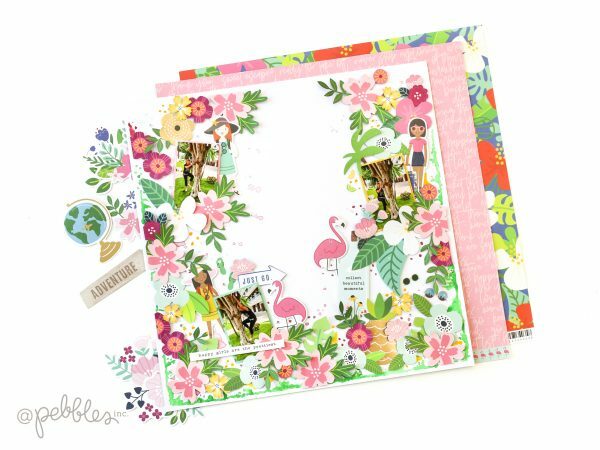 This scrapbook layout is inspired by all the flowers and blooms I spied from the collection. 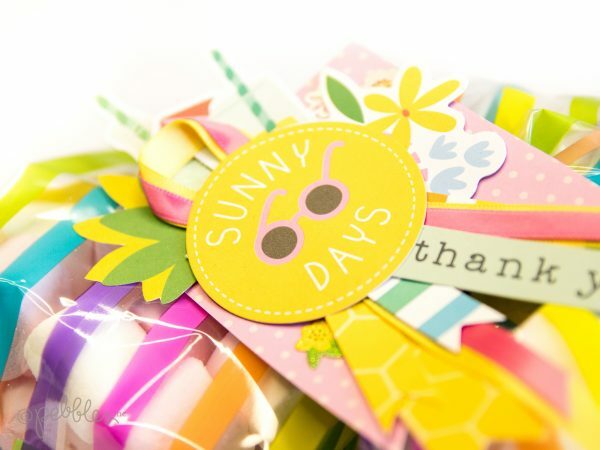 I enjoyed fussy cutting most of them, but also used the ephemera pack to fill the page. 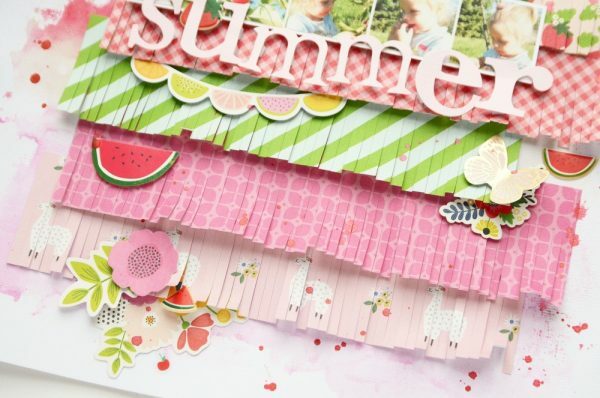 There are several ways to add title to match to a layout like this, all those thickers, stickers, wood veneer shapes and other, but still I wanted to cut out a piece of patterned paper to be my title. “Happy girls are the prettiest” just matched this layout of my sweet daughter so well! 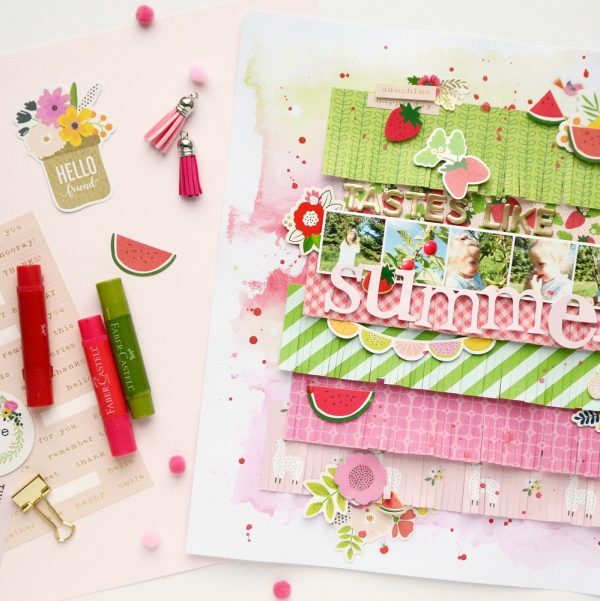 Would you like to see how this layout came together? I recorded a quick step-by-step process video for you to watch, so take a cup of coffee and enjoy! 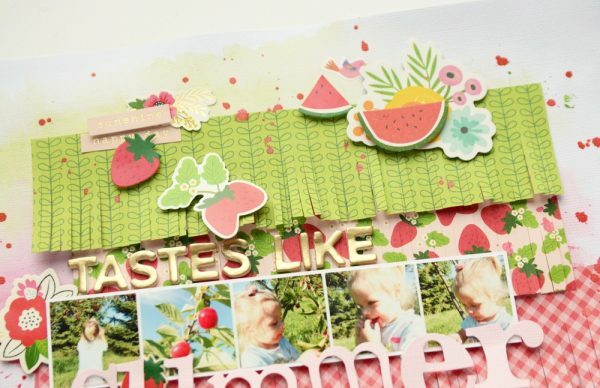 Hope you’re inspired and will re-create this kind of layout. If you do, please tag me (Instagram: @terhi_koskinen) to your project so I can see your wonderful work! 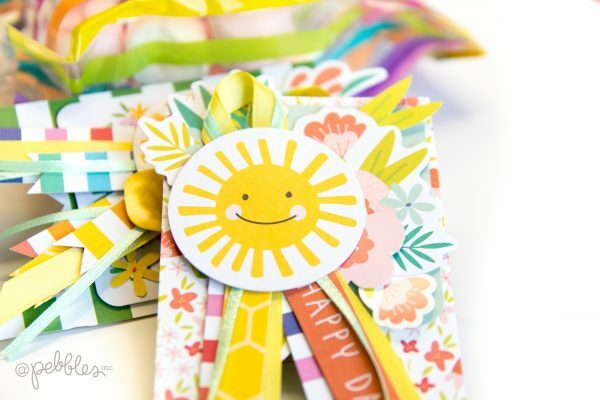 Wishing you a happy Tuesday! Hi Pebbles friends! 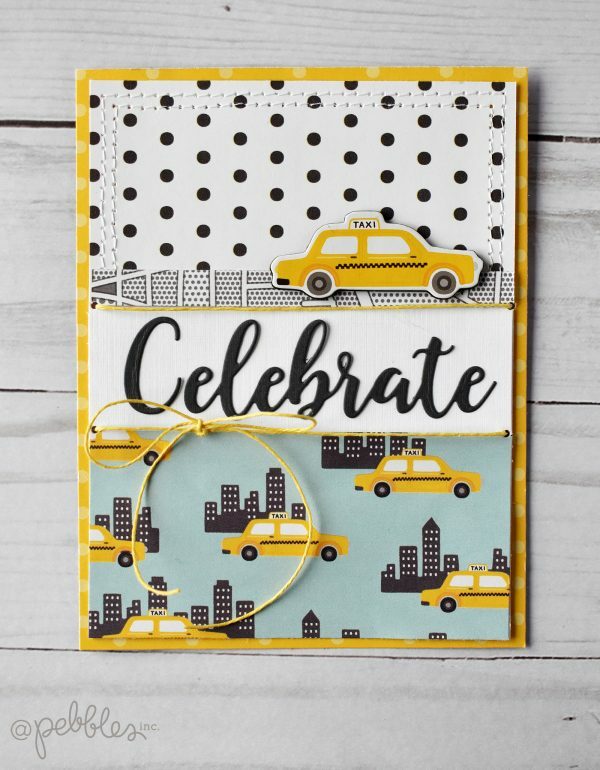 Wendy Sue here today, sharing a quick and easy “Celebrate” card I created with the fun new collection called “Chasing Adventures.” With so many amazing themes and color combos to choose from, it was hard to narrow it down, but I fell in love with these cute little taxi illustrations and just knew I had to use them on a card! 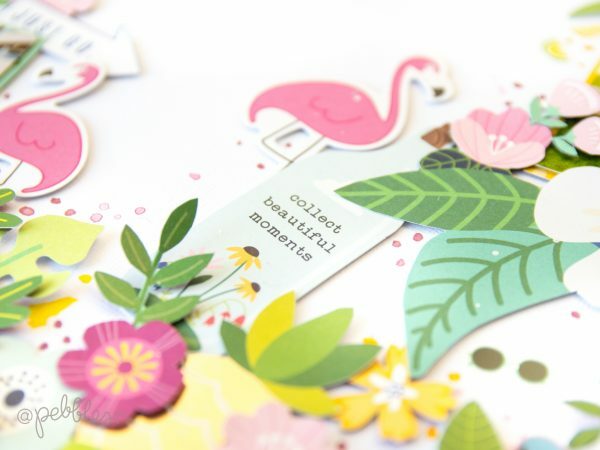 Here’s a peek at the card duo I made – keep reading for a simple step-by-step plan for creating it yourself! 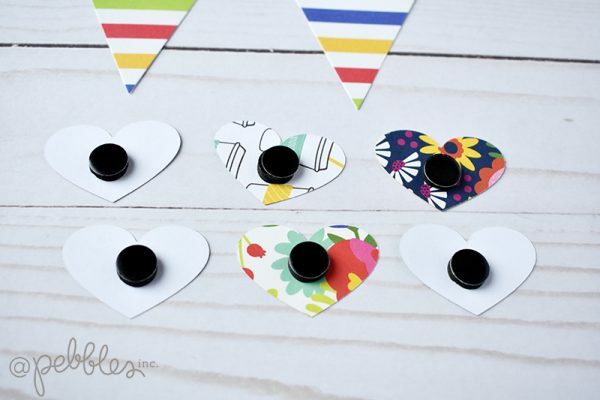 The first step is optional, but one I always love – use a sewing machine to stitch around the edges of the dot paper. 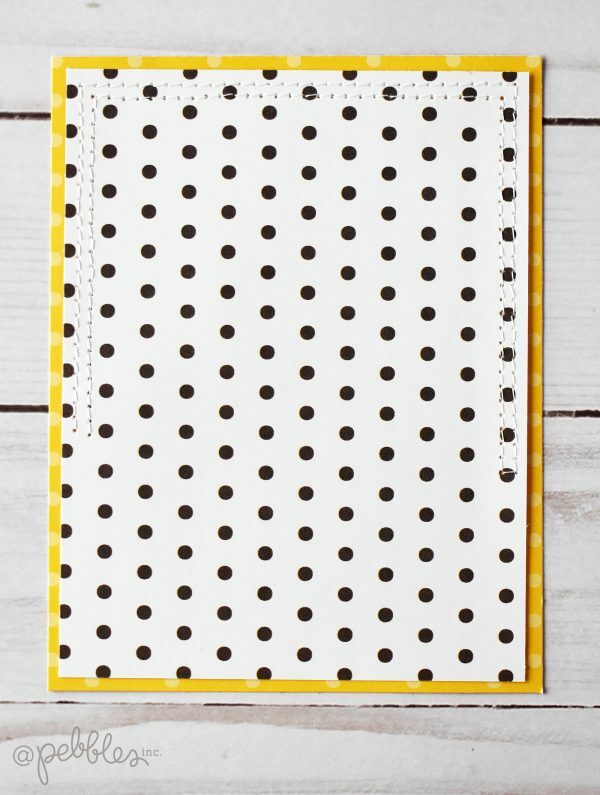 Place the dot paper in the center of the yellow paper. 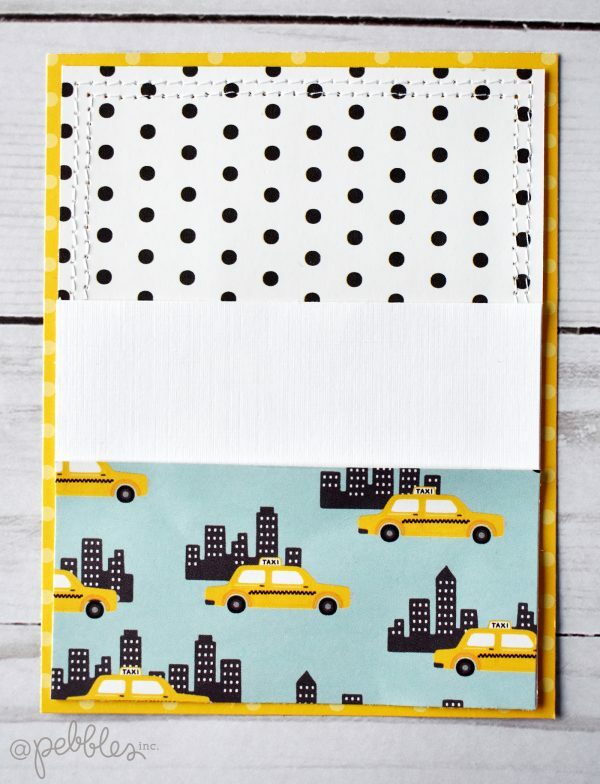 Next, place the taxi paper on the bottom portion of the dot paper. 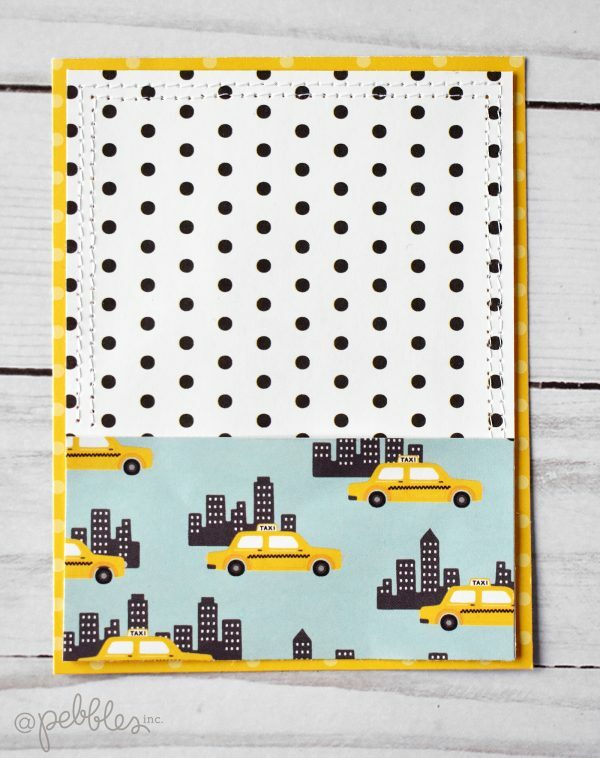 Add the strip of white cardstock above the taxi paper, tucking it slightly under the top edge. 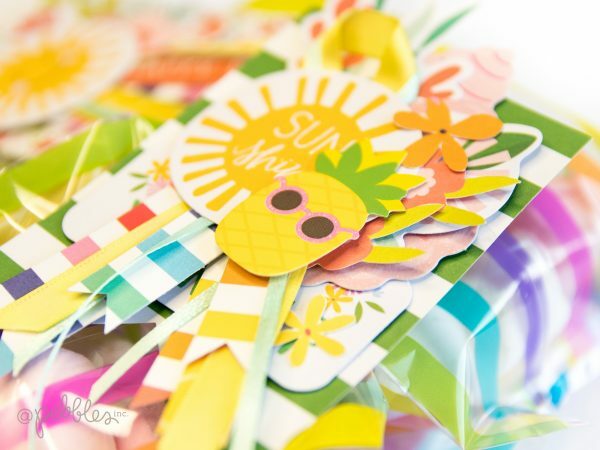 Add the sentiment (this could be printed, die-cut, or even hand-written) onto the white cardstock strip. 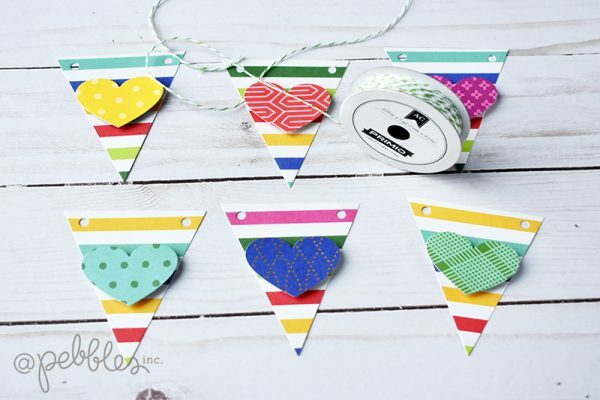 I forgot to take a photo, but the next step is to add the small patterned paper strip above the sentiment. 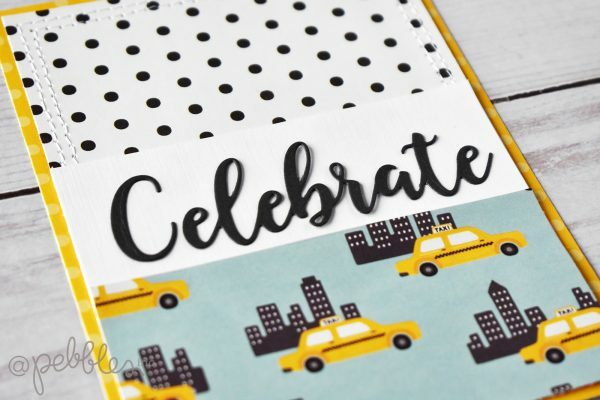 Place it over the top of the white cardstock so there is an even amount of space above and below the sentiment. 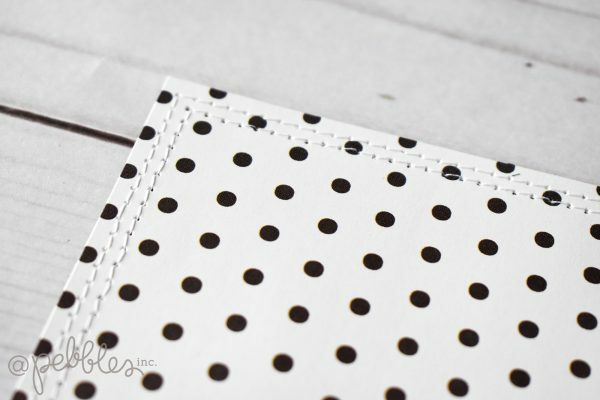 The next step is to punch (or poke) small holes in the four corners of the sentiment box. Stitch the twine through the holes and tie a bow on the bottom left side. 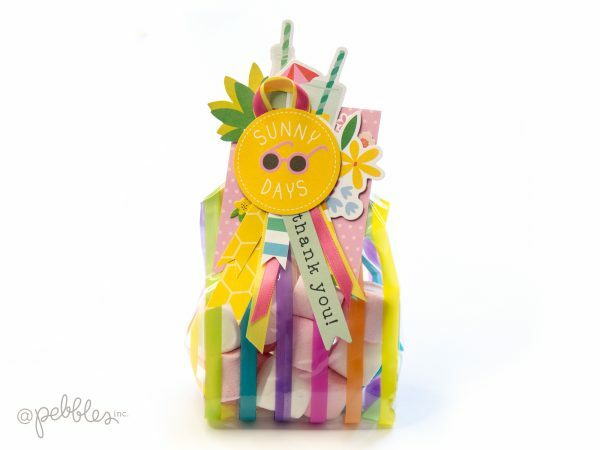 Next, add the dimensional sticker above, and slightly to the right of, the sentiment box. 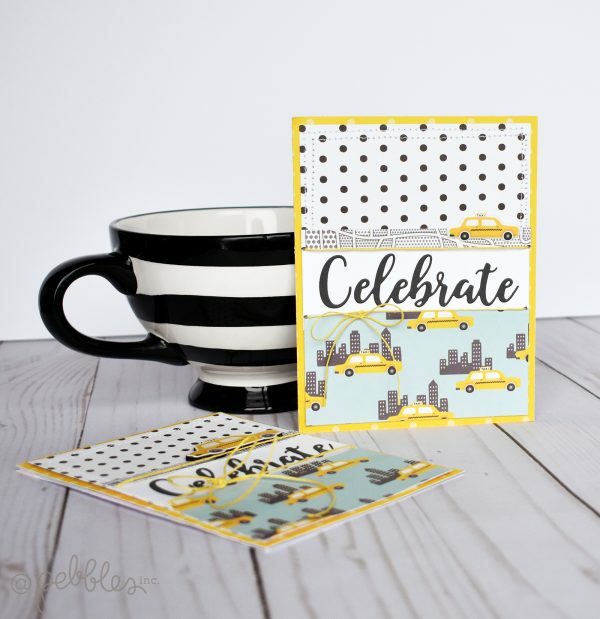 Finally, place the entire card front onto the white cardstock card base! That’s it! Wasn’t it easy?? 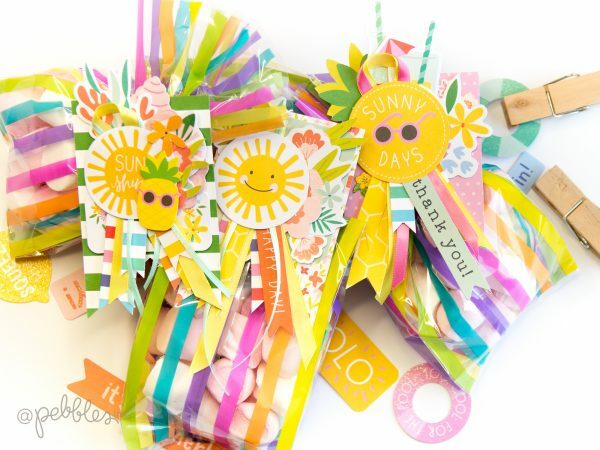 And wouldn’t it be fun to use this same basic design with different papers, stickers, and sentiments? The possibilities are endless! 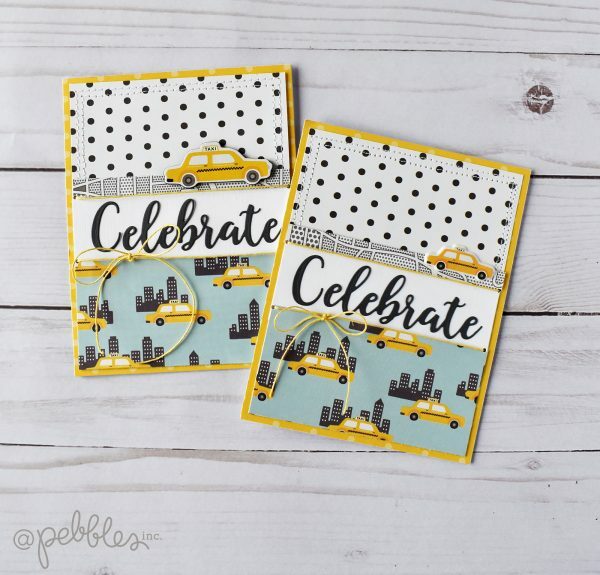 Coincidentally, I just couldn’t stop at one card – and I had plenty of paper to make another identical card (actually I could have made several cards with only a few pieces of patterned paper!) 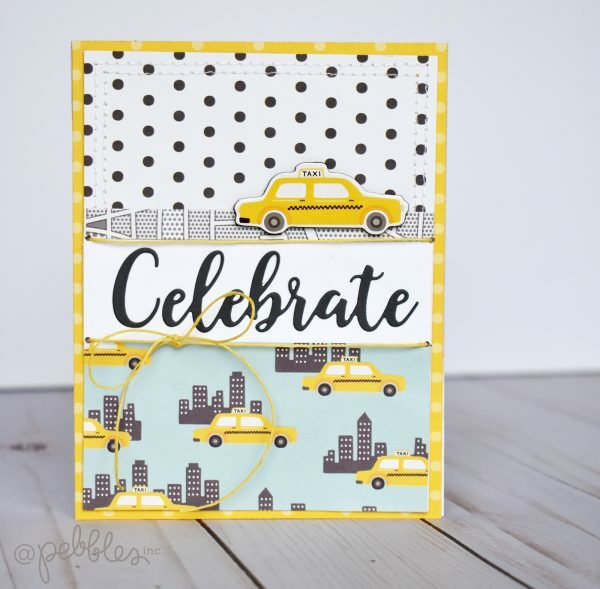 – the only difference is that I used a puffy sticker taxi cab instead of a thicker! 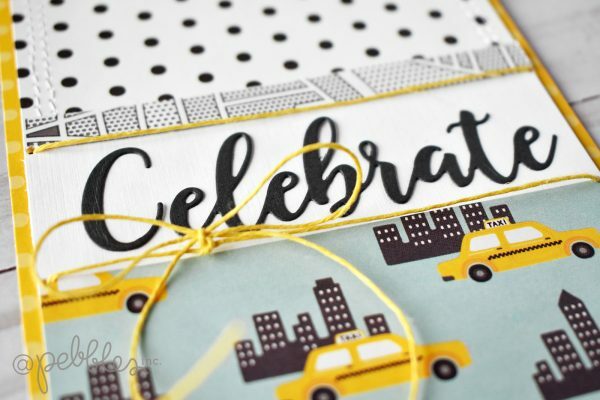 Thanks for joining us on the blog today! 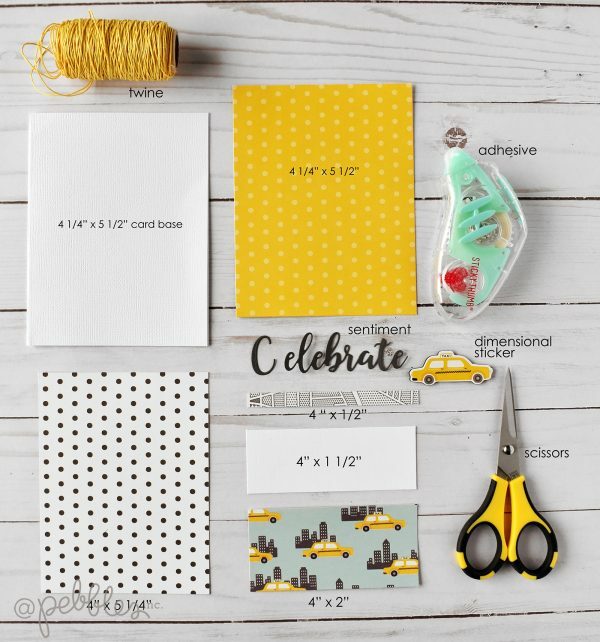 If you use this tutorial, please share your creations with us by linking in the comments! !